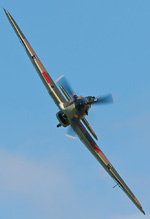 Blessed with some of the best weather seen at a UK airshow for a number of years, the Abingdon Air and Country Show 2013 held on Sunday 5th May quickly became the perfect start to the season. Attracting more international visitors than some larger shows, Abingdon continues to be a must-visit for the airshow-goer keen to blast away the winter cobwebs. 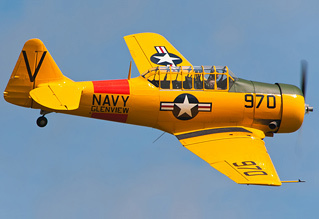 Andy Evans braved looking like a lobster and reports for UK Airshow Review. Additional photography Ian Matthews. 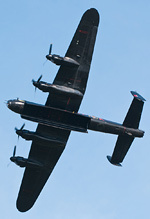 Abingdon's Air and Country Show has occupied a prominent spot in the UK airshow calendar for over a decade as the first major event of the season. Over recent years the show has developed from being a country fair with a limited flying display, to 2010, where the show attracted a major international flying participant - the F-16 solo display team of the Royal Netherlands Air Force. 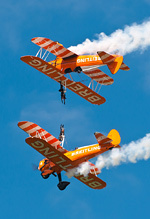 Abingdon is unique in that it is not only an airshow but a country show too, with the morning featuring displays from local associations and falconry while the flying visitors arrive. 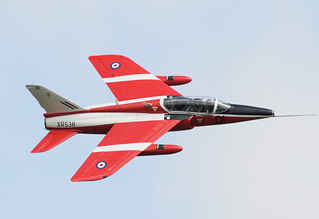 The afternoon is a three hour intimate flying display with jet aircraft operating from nearby airfields and prop aircraft operating from Abingdon's runway. Initially, this year's show looked to be an unexpected casualty of the current economic climate with a lack of "star" participants, such as the UH-60 Blackhawk from the US Army's SHAPE Battalion in Belgium, and a reduced presence from the RAF. The Blackhawk being a victim of the on-going sequestration problems the US Department of Defence are currently experiencing, following an initial provisional booking for static display. Combine this with a run of poor weather in recent years and a number of regular visitors to the event were left with second thoughts. In the days running up to the event, these concerns intensified with a weather forecast of overcast, cloudy conditions looking set to put a spanner in the plans of the organisers. Much to the amazement of the 9,000 spectators that were there, the Met men turned out to be completely wrong with an ever-improving picture throughout the day, eventually resulting in clear blue skies while the Hurricane and Lancaster displayed. Those that took the risk and visited regardless were treated a flying display in perfect photographic light and, as a result of the unexpected sun, the next few days with rather reddened faces! Taking a look at the static display revealed a number of international participants. Present at the end of the cross runway were in service military visitors from no less than four nations. Representing the home team was a Merlin HC.3 from 78 Sqn. at RAF Benson, providing tours around their aircraft throughout the day. It was the most difficult visitor to photograph on the entire airfield however, with other aircraft parked in front of it for most of the day. Joining the Merlin in military corner were a Polish Navy Bryza, Royal Netherlands Air Force (KLu) Pilatus PC-7 and Belgian Air Component SF-260. The Belgian machine was joined by two civilian SF-260s, one in Italian Air Force markings. As with every Abingdon, the majority of the static arrives during the morning, and was comprised mainly of mixed warbirds and rare ex-military aircraft, including a pair of Messerschmitt Bf-108s. The flying display kicked off with the arrival of the Thames Valley and Chiltern Air Ambulance, the beneficiaries of the Abingdon Air and Country Show. 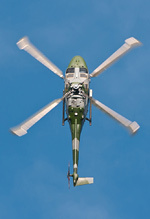 The original intention was for the helicopter to stay at the show for spectators to get a look at close quarters, however soon after arriving in the circuit they were sent on a shout. What followed was a spirited and impromptu display from the pilot, showing just what an EC-135 can do with a full load of medical equipment on board. Kicking off the formal displays was the debut display by Will Hilton flying a Twister. Will's display was aerobatic and professional, a preview of what is to come on the airshow season in the future, he can only go from strength to strength. 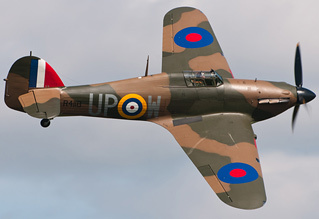 On the warbird front, Second World War fighter aircraft were represented in the air by Peter Teichman's North American P-51D Mustang "Jumpin' Jacques" and Peter Vacher's Battle of Britain veteran Mk I Hurricane. Pete Kynsey's display in the Hurricane was one of the highlights of the day and constituted one of the best displays, in my opinion, of a Hurricane seen in recent times. These were joined in the sky by a variety of prop warbirds including a DC-3 Dakota, T-28 Trojan and a Bulldog. The Bulldog's display, flown by Rod Dean, was superb, showing what can be done with a small light trainer aircraft on a display line; a significantly superior display to the RAF Tutor in previous years. 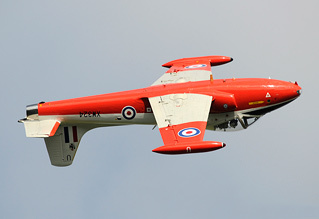 The classic jet fraternity was also well represented with a lively display from a Jet Provost and an extended display by a Folland Gnat, though the latter lost some impact having been displayed at height and distance from the crowd; depressingly reminiscent of recent RAF Hawk displays. The current military were not to be outdone and after the disappointing news that the anticipated VC-10 flypast had been cancelled a few weeks prior, it was good to see RAF Brize Norton agree to send a Tristar in its place. At first, the expected Tristar flypast looked like it had been cancelled with a distant view of a Voyager circling at low level near-by, with many assuming it was yet another stand-in. Spirits were lowered further when the Voyager returned to base without putting in an appearance at Abingdon, until news filtered through that the Tristar had not cancelled and would indeed be participating, albeit later than planned. When it eventually came, the Tristar performed a single low dirty pass down the runway before returning to base. In normal circumstances, many would think that this was a waste, however with this type's retirement looming, any visit was a welcome bonus. Joining the L-1011 from the RAF was one of the first displays of the year by the Battle of Britain Memorial Flight's Lancaster I, PA474, helping to mark the 70th Anniversary of the "Dambusters" raid by carrying the post 'Dams Raid' 617 Squadron markings of DV385, "Thumper Mk III". Making a welcome return to the UK airshow circuit and closing the show was the Army Air Corps Lynx AH7 from Middle Wallop. Performing its trademark loops, flicks and rolls to audible gasps of amazement from the crowd, many of which had presumably never seen its impressive display before. It was a saddening note from the commentator that soon, we would lose the loops and rolls as the Wildcat replacement is not able to perform the manoeuvres thanks to its "advanced technology kit" on-board, making the agile display from the venerable AH7 something that the enthusiast should savour every moment of this year. In this reviewer's opnion, Abingdon 2013 was perhaps one of the best shows at this venue in recent years, both for content and weather. Here's hoping 2014 builds on this and goes from strength to strength.